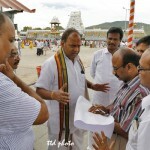 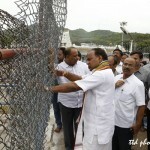 TIRUMALA, SEPT. 13: Tirumala JEO Sri KS Sreenivasa Raju on Saturday inspected, the ongoing arrangements for annual Srivari Brahmotsavams which are scheduled to take place from September 26 to October 4 along with various HODs in Tirumala. 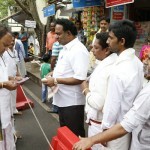 Later addressing media persons he said, almost all the arrangements are nearing completion as there are less than two weeks time left for this religious annual fete. 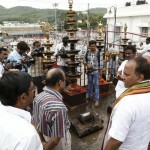 He said, the new Koluvu Mandapam will come into utility during brahmotsavams. 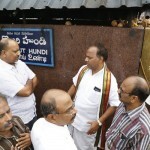 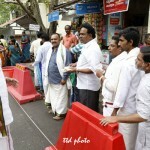 Earlier, the JEO also inspected the Rs.300 advance booking queue line. 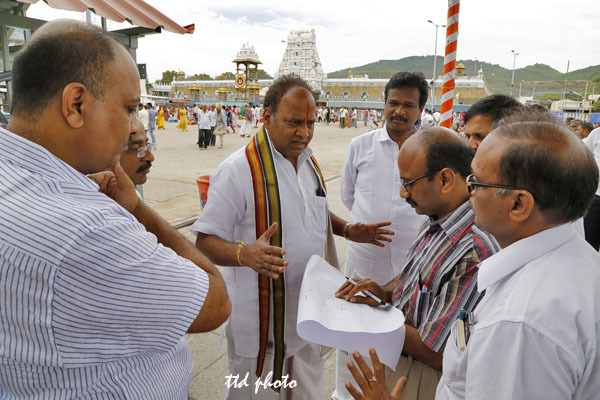 He said, TTD is contemplating to consider “Mee-Seva” centres also for issuing Rs.300 tickets under advance booking system. 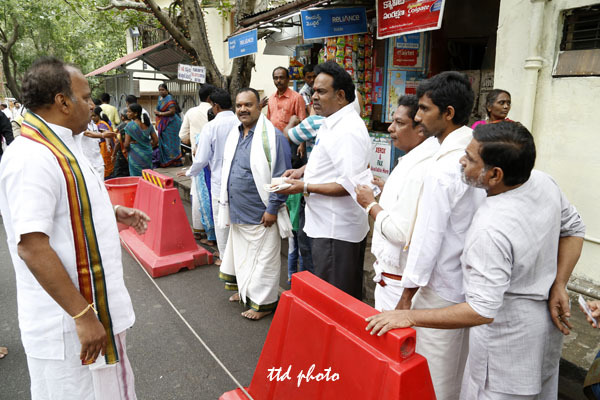 JEO said all the galleries are restructured in such a way that there will not be any tussle among the pilgrims to catch the glimpse of Lord during vahanam procession. 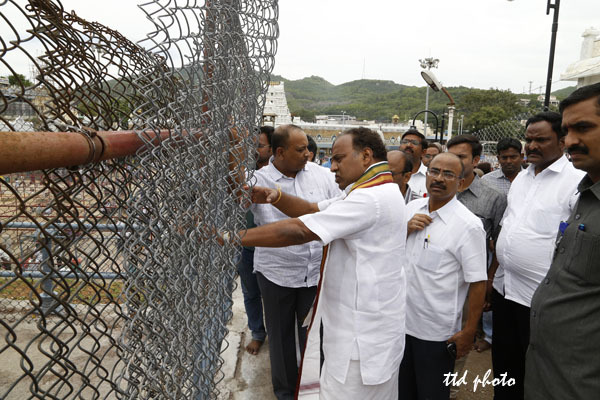 “Especially for Garuda Seva elaborate security arrangements are in place and we have set up separate entry and exit gates to see that no untoward incident takes place during this important day”, he added. 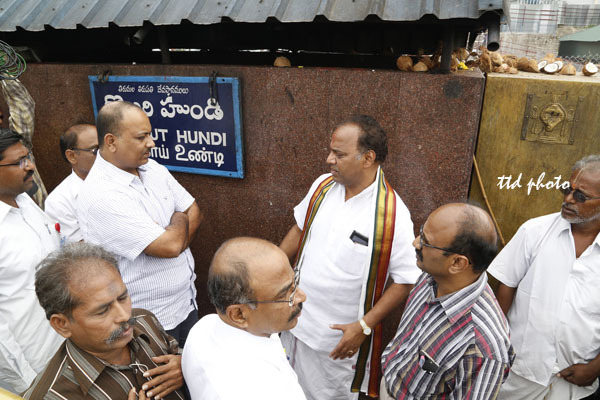 CE Sri Chandra Sekhar Reddy, SE II Sri Ramesh Reddy, Additional CVSO Sri Siva Kumar Reddy, EE I Sri Krishna Reddy and others were also present.